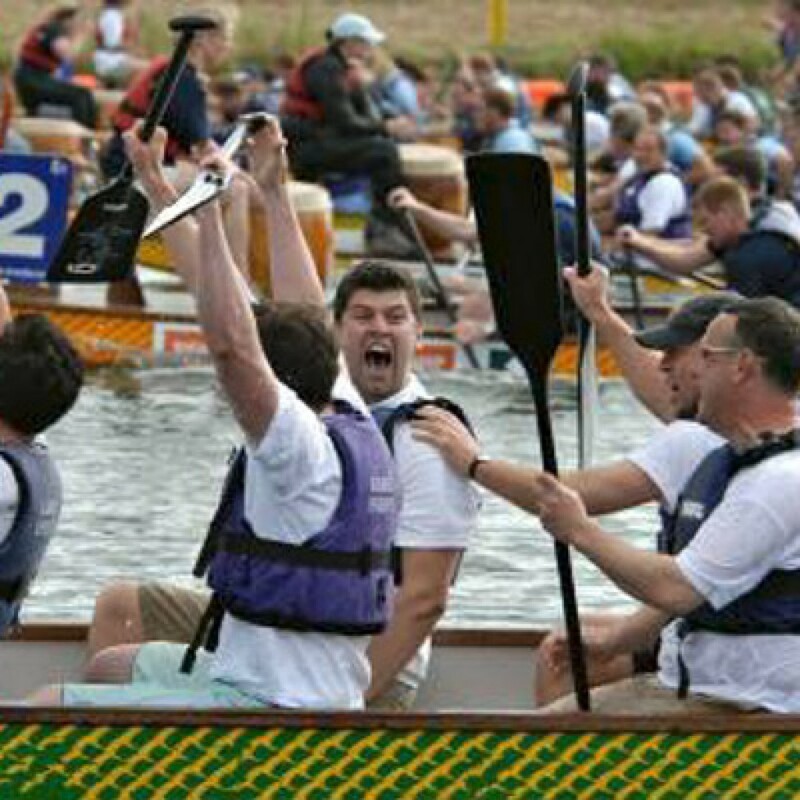 Dragon Boat racing is an exciting way of motivating and integrating staff from all areas of the company. Part of the sport’s amazing appeal is its ability to get everyone working together in a very short space of time giving a real and lasting sense of individual achievement and team spirit. Motivation, Team Building and Fun! With no previous experience required, everyone has an equal chance of success and is kept occupied at all times. 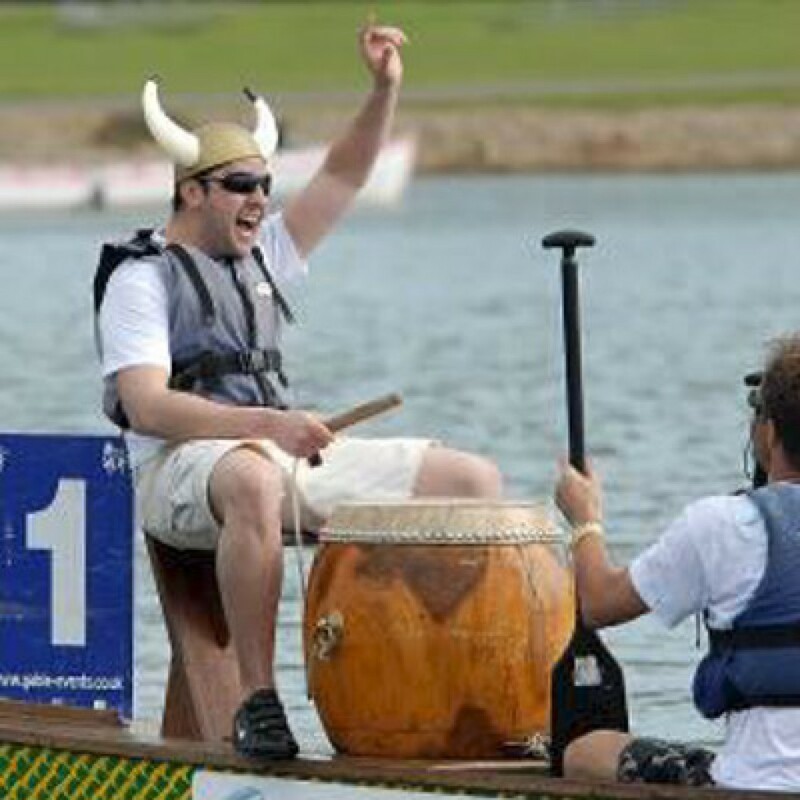 The great advantage of Dragon Boat racing is the way the Teams develop their teamwork skills in an effective and meaningful way. It’s not only the obvious benefits of teamwork which are enjoyed; but, the bringing together of everyone within the team, and the amalgamation of their strengths to achieve a result, which is so rewarding. Most important of all, the shared experience is invaluable for team cohesion. The crews re-board the boats again and techniques such as “Paddle Tap”, “Silent Running” and “Pairs” are used to help improve timing as well as tips on the team’s basic paddling technique. To finish – The teams will have the best of three races timed to show how much they have improved throughout their training … and to establish the victors! 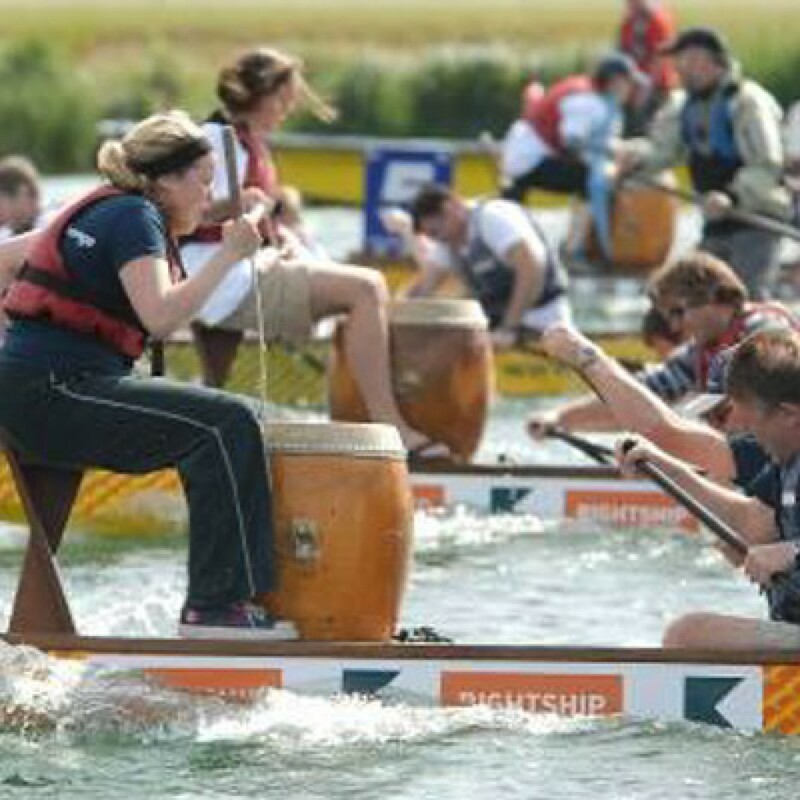 The event is based on a half day full racing event using two dragon boats for more than 34 people, giving each crew four races; or, if time is limited, a 2 to 2½ hour session. 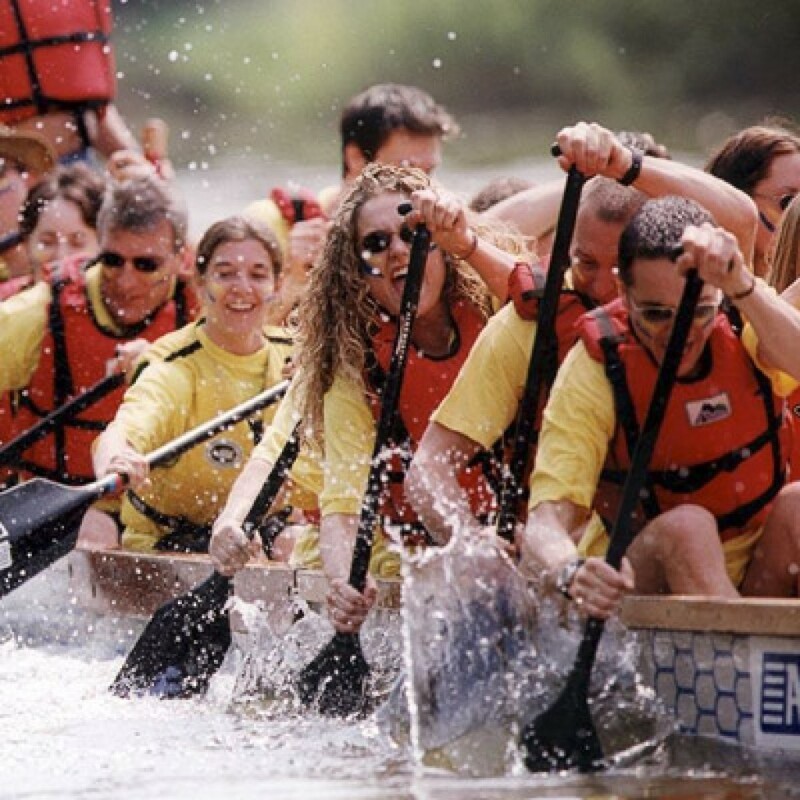 On arrival, we would split your group up into teams and, following a safety briefing, the teams will be professionally instructed with a fun mix of water based team building exercises, practice sessions and races.